I’m reposting items originally written for peterme.com. This post is from February 18, 2016. The challenge is when a candidate splits the panel, where some are strongly positive, and others are inclined not to hire. 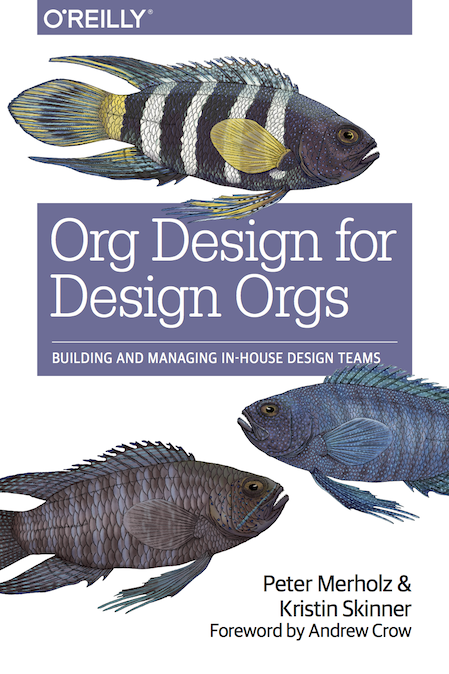 Navigating this proves to be among the most heightened and sensitive tasks for a design leader, because there is nothing more damning than a mis-hire, especially where there’s evidence that not everyone was on board. In most situations where there’s a split, the easiest decision is the same as the right decision–do not hire. Given how costly it is to make a hiring mistake, this is where better-safe-than-sorry is an appropriate strategy. BUT. It is not a universal, and how this is handled is one of those areas that distinguishes design leaders from design managers. If a design leader deeply believes in the potential of a candidate, and can identify flaws in the rationale of those who object, the design leader should make the case for why an offer ought to be extended to the candidate. There are reasons for rejection that design leaders need to be wary of, and call out if they are the only impediment to hiring. Unfamiliar background or approach. Designers, particularly those with less experience, can be quite orthodox in how they evaluate other designers. They may be suspicious of any designer who doesn’t share their background or approach. An atypical background (maybe they didn’t study design in school), or unfamiliar approach (perhaps they don’t use typical design tools, or they’re unfamiliar with industry standard methods), can make panel members uneasy, because it’s not how they do it, and they don’t understand how other ways can be successful. The design leader’s role is to remind the panel of what is most important – results. If an unorthodox approach leads to great design work, the onus is on the team to figure out how they might be able to incorporate such different ways into their team. In fact, a willingness to consider people with atypical backgrounds provides two benefits: there will likely be less competition for that person (because other companies will also be hesitant with the unfamiliar); and the incorporation of new ways of working will increase the team’s diversity of perspective, and enable them to do better work. Awkward communicators. If the interview process has one crucial drawback, it would be its reliance on conversations as the primary medium of understanding. The portfolio review mitigates this somewhat, but one of the things any candidate is being tested on when talking to people over the course of a day is how well they communicate. Many talented designers are not good oral communicators, and many are quite introverted. It might even be part of the reason they got into design–they may be more comfortable with pictures than words. People who are awkward communicators (and good designers) often process the world differently than others, and that difference can actually make for a stronger team by bringing in uncommon ways of working and thinking. Candidate is a little weird. Maybe they talk fast or loud. Maybe they have some uncommon obsessions. Maybe they demonstrate unbridled enthusiasm or a lack of social graces. Whatever it is, you will interview candidates that are a little weird. Don’t let that weirdness be a turn-off. In fact, lean in to your team’s weirdness. If a design team can’t bring weirdness into a company, who can? If people on the interview panel grow wary when candidates’ let their freak flags fly, reorient their thinking to the quality of that candidate’s work, and whether they think the candidate will be truly disruptive (and not just a little strange).